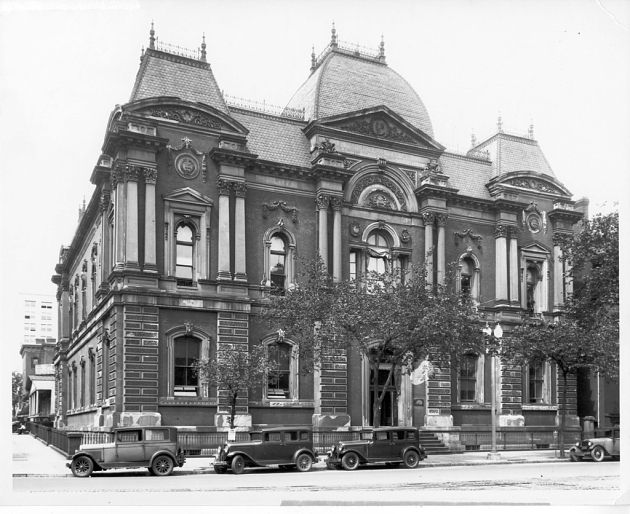 Exterior of the original Corcoran Gallery of Art (now Renwick Gallery) designed by architect James Renwick, Jr. The c. 1930s image shows the building when it served as the U.S. Court of Claims. Record Unit 95 - Photograph Collection, 1850s - , Smithsonianian Institution Archives, neg. no. SIA2008-2352. 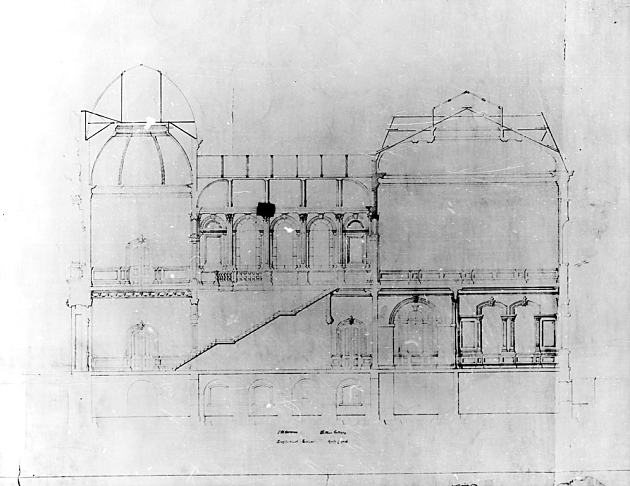 Architectural Drawing of Corcoran/Renwick, c. 1890. Record Unit 95 - Photograph Collection, 1850s - , Smithsonianian Institution Archives, neg. no. 2004-10366. Stereoscopic view of the exterior of the Renwick Gallery, c. 1880s, by J. F. Jarvis. Record Unit 95 - Photograph Collection, 1850s - , Smithsonianian Institution Archives, neg. no. SIA2011-1138. 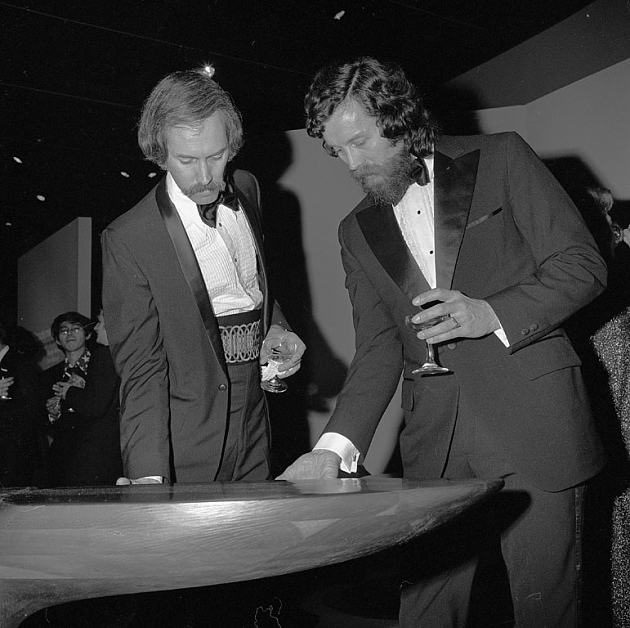 Renwick Administrator Lloyd E. Herman (1972-1986), wearing a cummerbund made of leftover drapery material from the Grand Salon, examining woodworks of craftsman Wendell Castle at the opening of the Renwick Gallery, January 27, 1972. Record Unit 371 - Office of Public Affairs, The Torch, 1955-1960, 1965-1988, Smithsonianian Institution Archives, neg. no. 72-1961-6. 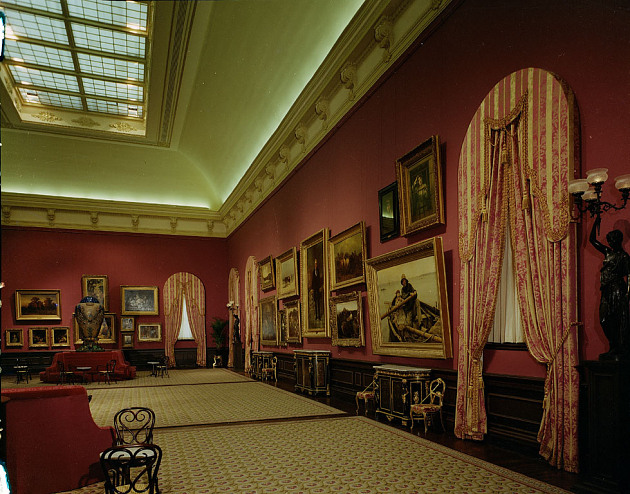 View of the Grand Salon in the Renwick Gallery, 1972. Record Unit 313 - National Collection of Fine Arts, Central Administrative File, 1908-1974, Smithsonianian Institution Archives, neg. no. 72-4230. Stairway of the Renwick Gallery, c. 1971. Record Unit 313 - National Collection of Fine Arts, Central Administrative File, 1908-1974, Smithsonianian Institution Archives, neg. no. 72-3478. 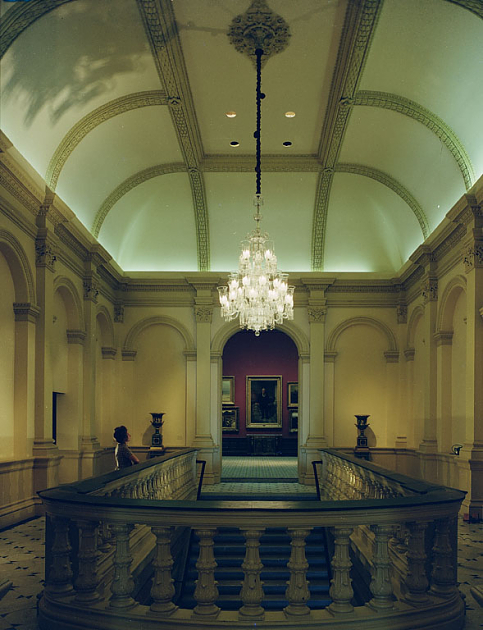 Grand Salon of the Renwick Gallery, June 21, 2005, by Harold Dorwin. Accession 11-009 - Smithsonian Photographic Services, Photographic Collection, 1971-2006, Smithsonianian Institution Archives, neg. no. 2005-17756. On this day in 1972, the Renwick Gallery opened to the public. 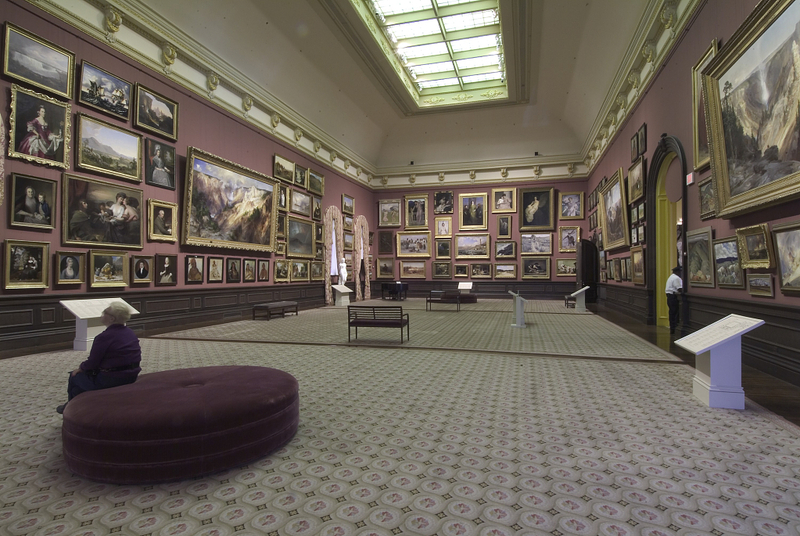 The Renwick serves as the home of the Smithsonian American Art Museum’s craft and decorative art program. The collections, exhibition programs and publications put forth by the Renwick highlight the best craft objects and decorative arts from the 19th century to the present. Presently closed for renovations, the Renwick will get a completely renewed infrastructure, enhanced historic features, and other upgrades such as an all LED lighting system. For now, until it reopens, here is a look at some historic images of the Renwick.